Jessie is a special education teacher, who killed a gunman after to students began firing automatic weapons around the cafeteria. Two students were killed before she was able to shoot one of them. She is hailed as a local hero, but suffering from PTSD and recovering from her injuries, she just wants to be left alone to deal with the memory of killing a 14-year-old child. The media is klammering to get an interview with her, but she refuses. One reporter desperately needs an interview and she goes after Jessie with a vengeance. Digging into her past, she unearths information that no one knew and Jessie had hoped would remain buried. Meanwhile, there is a serial killer looking for his next victim. He’s armed with a knife, a gun, and a longbow. He kidnaps his victims, drives them into the mountains, turns them loose with a 5-minute head start, then hunts them down. To date, no one has survived. He has set his sights set on Jessie, figuring that she will be a fighter and he loves to be challenged. He has no idea how much of a fighter Jessie is. This plot is not new, but it is well written. The pace is slow during the build up, but then it takes off. I liked most of the characters, especially Jessie. She is a damaged character who makes a good anti-hero. Her husband, Mark, is a good man and he loves his wife, but when he is blindsided by Jessie’s secrets, he isn’t quite sure what to think. I really liked Mark’s brother, Ace. He is an ex-felon who will do anything for Jessie. She stood up for him against his family and he loves her for that. Of course the characters we are not supposed to like, Caleb and Darla the reporter, are easily disliked. The POV switches between Caleb’s and Jessie’s perspectives, and allows for insight into both of them, thus giving greater depth to the book. I enjoyed this story, listening to it well after I should have gone to bed. The narrator did a great job with the reading of this book. The voices were easily distinguished, although not all that much different from one another, it still worked. I recommend this one to those who enjoy thrillers, especially those with a cat and mouse chase in the plot as well as a well written story. 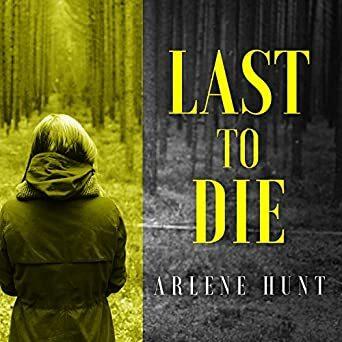 About the Author: Arlene Hunt is an Irish writer, broadcaster, and reviewer. She is originally from Wicklow, but now lives in Dublin with her husband, daughter and a melee of useless, overweight animals. She is the author of the fast-paced, Dublin based crime-thriller series featuring John Kenny and Sarah Quigley from QuicK Investigations. She likes to walk around mountains with German Shepherds. 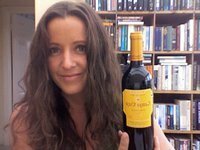 She has written seven crime novels: Vicious Circle (2004), False Intentions (2005), Black Sheep (2006), Missing Presumed Dead (2007), Undertow (2008), Blood Money(2010), and The Chosen (2011). Undertow was nominated for Best Crime Novel at the 2009 Irish Book Awards. This sounds good and I want to know what secrets there are. Great review! Yes, I saw your review on Goodreads. I don’t think you liked it as much as I did though. Your review is a good one, pointing out major themes and issues. The idea of arming teachers is one that has strong points on both sides. This bring out that she saved lives but at a cost to herself. Her actions do make her the perfect prey for this serial killer. The summary uses the word “sadistic” and that is the perfect descriptor for him; the idea sends chills. I totally agree Linda, there is always cost to self when killing another human. Just look at all the armed forces personnel with PTSD. Arming teachers always comes up whenever there is a school shooting and that is a really tough discussion to have. I know I would not have wanted to be armed when I was working. I read this one because it fit Reading Ireland and was available on hoopla, but I did enjoy it. I honestly don’t think I can read this one with all the school shootings there have been. But thanks for a great review Carla! I totally get it Diane. School shootings are such a terrible tragedy. Luckily it was only the first few pages and the rest moved on from that or I probably wouldn’t have been able to read it either.